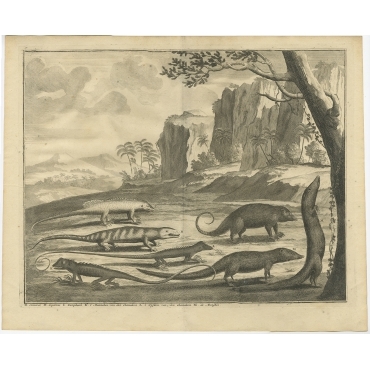 Antique prints of reptiles including antique prints of turtles, crocodiles, snakes, amphisbaenians, lizards, tuatara and their extinct relatives. 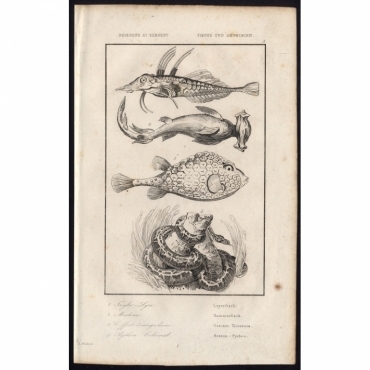 In our collection, you can also find antique prints of other animals. 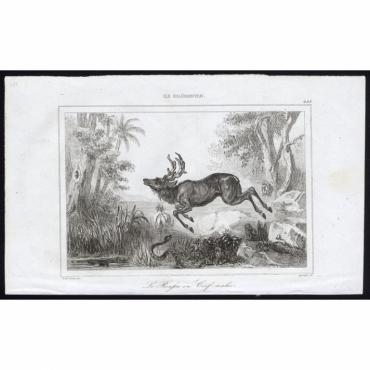 Browse our collection of antique animal prints. Antieke prenten van reptielen zoals antieke prenten van schildpadden, krokodillen, slangen, wormhagedissen, hagedissen, tuatara's en andere reptiel soorten. In onze collectie vindt u ook vele antieke prenten van andere dieren. Ontdek onze collectie antieke prenten van dieren. 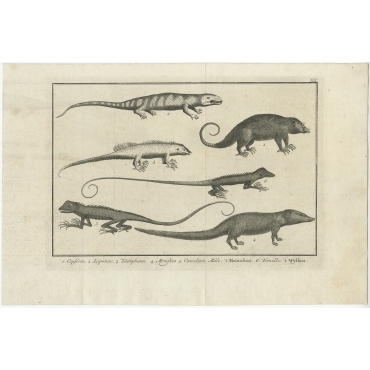 Antique Prints | Reptiles There are 7 products. Antique print, titled: 'Le Roussa ou Cerf Malai - 288, Ile Kalemantan', A Malay deer, known as the Roussa. A snake attack causes the deer to jump. 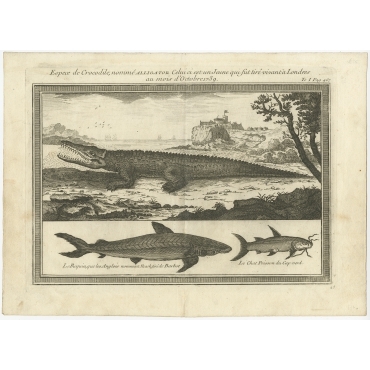 Antique print, titled: 'Trigle-Lyre, Marteau, Coffret Triangulaire, Python Colossal - 5, Poissons et Serpent', Marine animals: lyrefish, hammerhead shark, trunkfish and a python. Location: non specified Oceania. 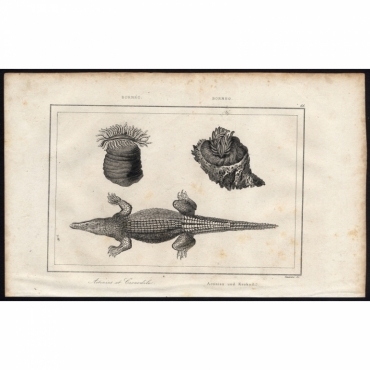 Antique print, titled: 'Actinies et Crocodile - 66, Borneo', Sea anemones and a crocodile, as found on Borneo. Antique print, titled: 'A Serpent of 14 foot at Cayenne (…).' - Illustrations to the writer's visit (James Barbot) to French Guinea and include indigenous flowers, plants, trees, birds and a Serpent of 14 foot at Cayenne. Published in 'Churchill's Voyages and Travels' (3rd edition 1744).